Are you still captivated by your wedding? While it may have ended, you’re not alone in wanting to relive that magical day. The best way to reminisce is by creating personalized wedding photo books and that capture all of your favorite moments. It can be difficult to decide which photos to include, but our wedding photo book ideas provide helpful tips that will make your album stand out. If you need inspiration or general layout ideas, you’ll find everything you need below. There’s no rule on the type of photos you should incorporate into your book. The important thing to remember is you are designing a wedding album that will immortalize your special day. Choose significant photos that you’ll want to view 20 years from now. For a wedding album cover that will stand the test of time, simplicity is key. Solid backgrounds or an enlarged photo are two classic album cover ideas. You can pair these modest backgrounds with a decorative title that makes a statement and serves as a nice finishing touch. While you want to design a sophisticated wedding photo book, you don’t want every single page to be the same. One way to mix it up is by getting creative with the fonts, symbols and language that define you. Whether you include quotes or phrases, this is your chance to let your individuality as a couple shine. They say a picture is worth a thousand words, and your wedding photo book tells your love story. The best wedding photo book is organized in a way that showcases the wedding’s narrative from beginning to end. You can accomplish this by choosing both formal and candid images that highlight unforgettable moments and raw emotions. This is a general rule of thumb that comes naturally in your selection process. If you have a small wedding with very few guests, you will have less variety with the people photographed. For a large wedding, there will be more photos with different guests and moments to feature. One of the best photo album ideas is to experiment with the size of the images. You don’t have to stick to a standard. 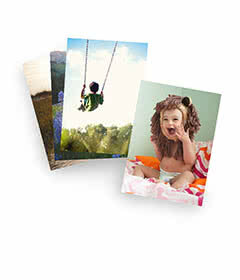 Enlarged photos are a great option if you have a breathtaking moment that you want to blow people away with. They also help prevent clutter by breaking up collages. Modern wedding photo books vary when it comes to design. There is no right or wrong way to develop the layout of your photo book. Provide diversity on each page by experimenting with the size and placement of your images. No two pages have to be the same. Something often overlooked is all of the beautiful details you spent months stressing over. Your photo book is your last opportunity to flaunt everything you worked so hard to achieve. Choose images that display close-ups of the wedding party’s attire, flowers, decorations and venue. Negative space, also known as the blank spaces of a page, creates a clean and polished look. Use this tactic when you have a photo that you want the focus on. Instead of being distracted by other photos, the negative space directs the viewer’s attention to the image. To finish your wedding photo book off strong, select a final image that provides a dramatic effect. This picture represents how you want to be remembered as a couple. Whether you wish to evoke a “happily ever after” ending or present a couple madly in love, this is your moment. Make it count. When you’re ready to get started, be sure to browse our flush mount albums for a design that will perfectly complement your wedding. Your big day is one life event you’ll never want to forget. It’s a beautiful celebration where families and friends come together to witness the people they love pledge their lives to each other. While you might wish you could freeze this moment in time, a wedding photo album is one way you can enshrine this day in your heart forever. For more inspiration, check out our custom photo books that you can personalize to match your style and wedding. Also, to make a special wedding keep sake for friends and family, you can make a free Shutterfly photo book once a month with our app.